Let me give some back story on me. I’m currently incarcerated for a slew of drug fuel’d burglaries in witch I committed to maintain mine and my baby mom’s drug habit. All of witch I take full responsibility for, but that’s not what’s got me going (oh no)! What started my now (derailing train of thought) was when I called my mom yesterday to catch up and check on my five year old son, at witch point I was told deeply upsetting news. 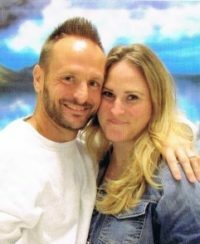 A little more back story, my sons mother whom I truly believed to be my greatest love, was released from prison just over a year ago after serving a two year sentence for violating her probation witch she was on because she was associated with me during the time of my arrest for said burglaries above. Granted I tried to get the police to just charge mefor everything and leave her out of it but in the end she got probation, hence my extremely larger sentence for taking all charges. And I was ok with this because in my mind even though I was a drug addict my only thought’s were that my son has to have at least one parent to have a semblance of normalcy, or else he’d be an emotional wreck. I also new she didn’t need to be in prison and would have a better chance to rebuild her life, let me touch on that for a sec. For anyone whose never been to prison before I’ll break it down to you, if you go to prison for the first time for say a year at age say twenty one, it’s like you’ve been living in care bear land your whole life and then one day out of nowhere you wake up in the pits of hell. Prison is a monster factory, innocent youth go in for crimes that should be looked at and considered for programs and instead are thrown into a system that completely changes the fabric of their being the only things to gain from prison are hatred, violence, and building on criminal behavior. that was my reasoning behind my taking out to give the mother of my child a greater chance at not seeing the monster creating machine that we call prison. But even then I failed, I held out hope that some how she would come home with her mind unscathed and untarnished. And for most of this past year things looked like my hopes had come true, yet in these last month’s I began to see old behaviors and new worse one’s creeping in. My worst nightmare had come true, we separated not long after she came home and that to was hard for me because I’d given this woman all my being like I mentioned, I was truly in love and I thought we could whether anything. So yes it was painful to let go but in the end I came to realize I was being selfish, she was doing great and wanted more in life and my amount of time was to long to ask anyone to waite. We agreed to stay in contact for our son’s benefit and did great until about four months ago. That’s when I started noticing changes in her personality, and I’d wrote all of it off to the new man in her life that we had been talking about. Things generally looked good for her and our son, yet one day out of the blue I ask how it’s going with him and come to find out she broke up with him and was now seeing a previous fling who was still using drugs and always cheated on her! It was such a sudden change it threw me, and now I come to the head of my thoughts. Things have only gotten worse since we stopped contact two months ago I found out yesterday she no longer lives at her family’s residents per her parole rules, but she has since lost her job, randomly shows up demanding money from her family throwing extremely outrageous temper tantrums when she doesn’t get any, I hate saying this but these are all previous signs of extreme drug use. And all of this to the extent her family has had to put a restraining order against her. And on top of everything I was also told yesterday that her family told my five year old son all about his momy and daddy’s drug abuse problems and how it’s the reason for daddy’s incarceration. And why Mommy’s acting so bad. So that’s my hell in a hand basket friends I’m just so at a loss I new I’d half to talk to my son one day but not when he’s five! And as for his mom I don’t know I’ll always love her she’s the mother of my only child, I’m just so angry that she had a second chance with our beautiful son, one I gave with seventeen years of my life. And she threw it away for god knows what! I just can’t come to understand any of it. All I truly care about is my son I severely hope this doesn’t traumatize him, he’s had to go through so much already I just don’t want my son’s emotions hurt anymore. I feel I’ve failed as a parent but who knows I’ve still got a ways to go maybe I can salvage it all some how! till next time.